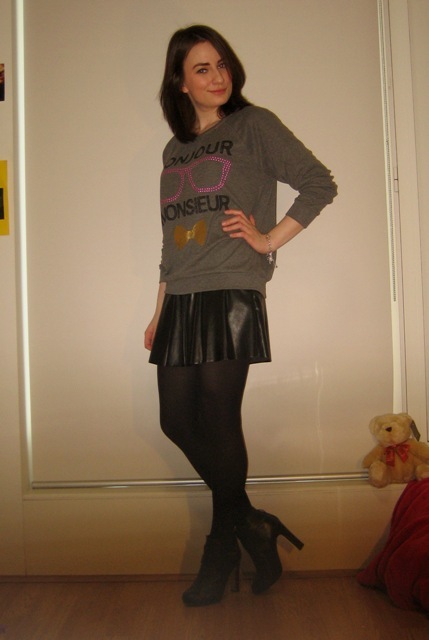 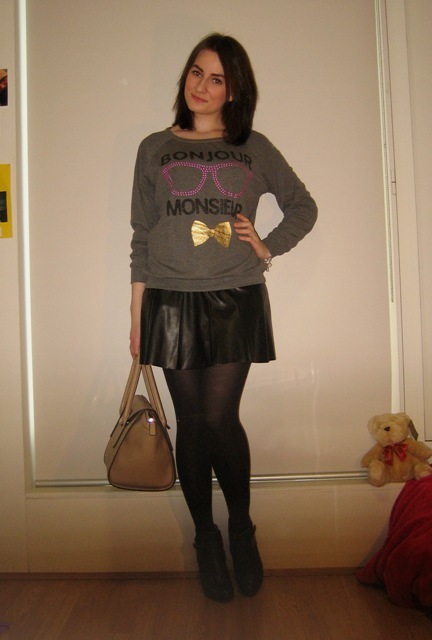 Combining sweat top with faux leather skirt today, and heels. 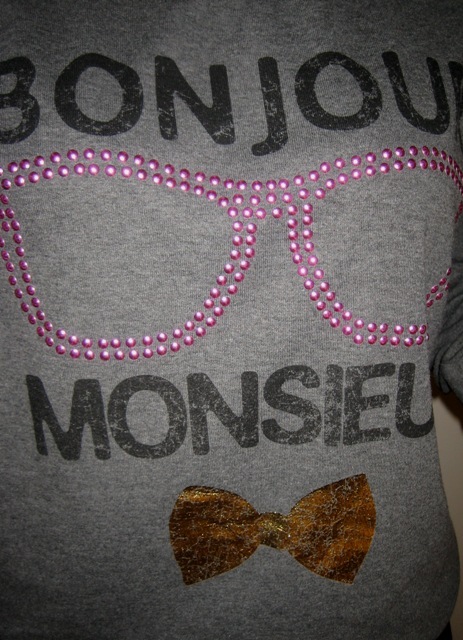 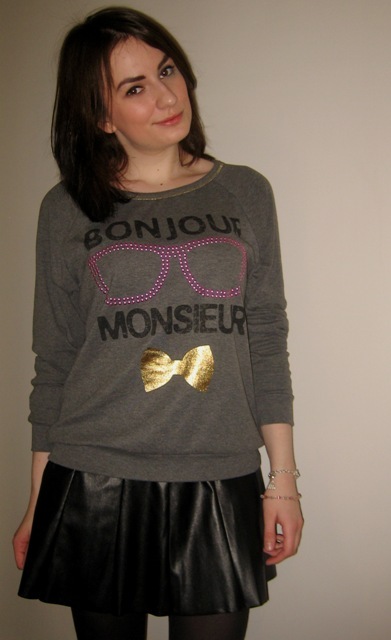 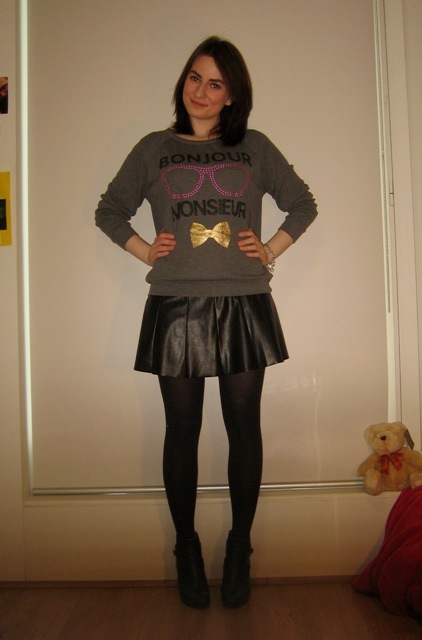 My choice for the day - sweat top with Bonjour Monsieur print, faux leather skater skirt, dark tights, heeled ankle boots and structured handbag. 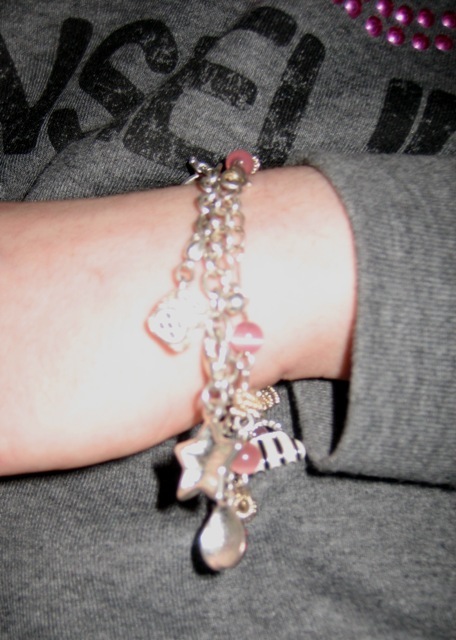 The look is completed by bracelets with pendants and flowing hair.